top of each other. The ruins, the beginning of western civilization, were protected as sacred relics. 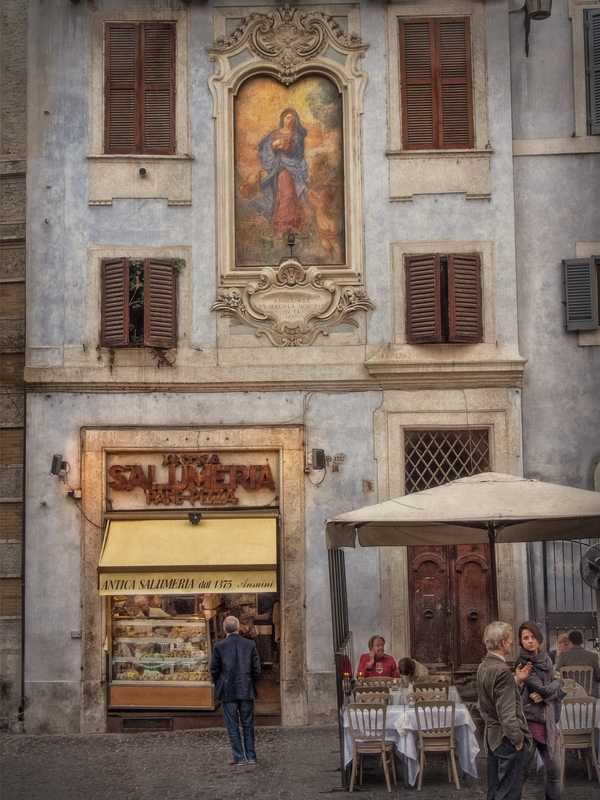 In this photograph we took of a pizza shop in Vernazza, it seemed only right that this ornate painting of the Ascending Mary would be there to watch over the pizza and the patrons alike… only in Italy.